The chairman of National Film Censorship Board has said the lavishly-mounted film might offend Muslims in the country. Kuala Lumpur: Sanjay Leela Bhansali-directed 'Padmaavat' has been banned in Malaysia by the country's censor board as the film touches on the "sensitivities of Islam". The chairman of National Film Censorship Board (LPF) Mohd Zamberi Abdul Aziz has said the lavishly-mounted film was not cleared as it might offend the Muslims in the country. "The storyline of the film touches on the sensitivities of Islam. That in itself is a matter of grave concern in Malaysia, a Muslim-majority country," Aziz was quoted as saying by Free Malaysia Today. The film, starring Deepika Padukone, Shahid Kapoor and Ranveer Singh, is based on the 16th century epic 'Padmaavat' by poet Malik Muhammad Jayasi. 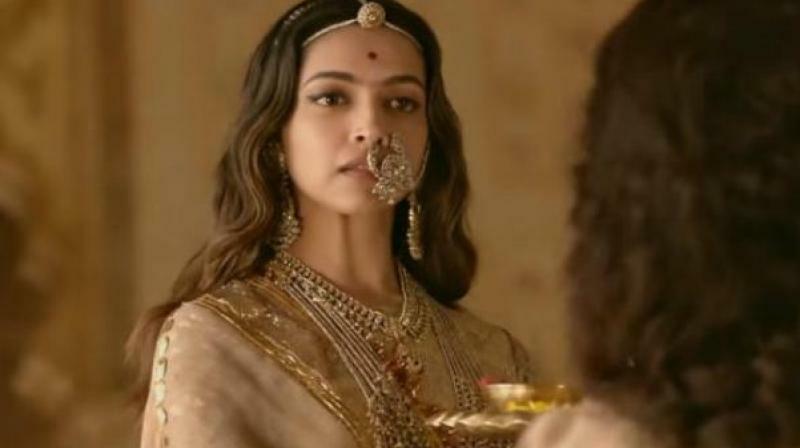 The film faced controversy at home as well after various Rajput groups accused Bhansali of "distorting historical facts" with the portrayal of queen Padmavati, a claim repeatedly denied by him. According to the report, Aziz said the distributors of the film had filed an appeal against the ban which would be taken up by the Film Appeals Committee on January 30. "Currently, LPF is unable to provide further comments as the film distributor has submitted an appeal to the appeals committee. "Therefore, further comments will only be issued after the appeals committee has made its decision," Aziz said. The film was released on January 25 in India after the Central Board of Film Certification (CBFC) cleared it last month with a 'U/A' certificate and five modifications, including title change from 'Padmavati' to 'Padmaavat'. In Pakistan, the censor board had cleared film without any cuts for screening with a 'U' certification. ■Padmaavat row only the beginning of bullying against Bollywood, Aamir next target? Kartik Aaryan gets pricey and choosy? Taimur Ali Khan in SOTY2?